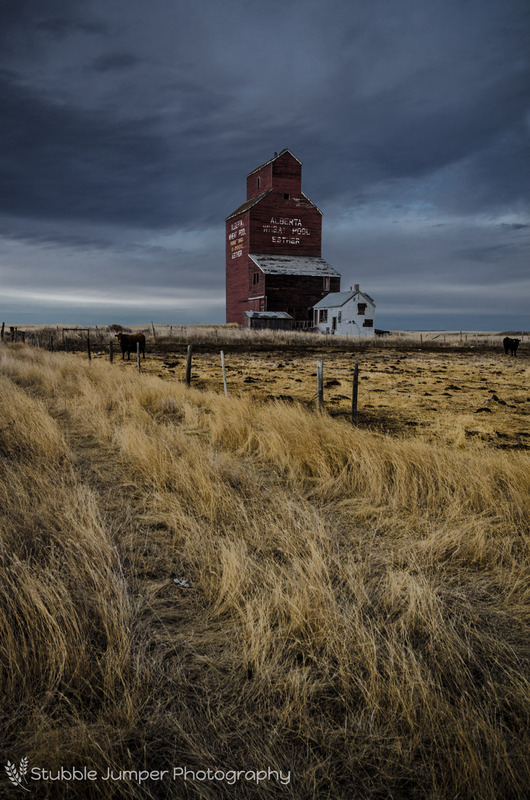 In response to declining grain prices after the first world war forcing farmers to sell their crops at a loss, a co-operative was organized. 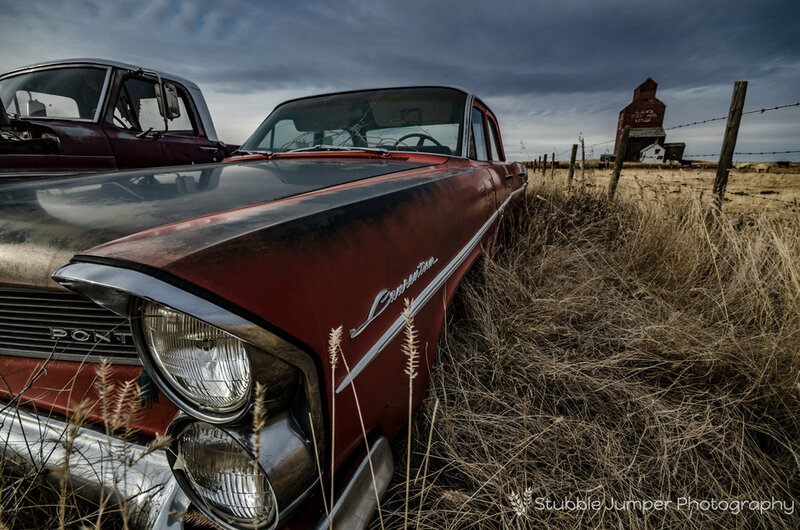 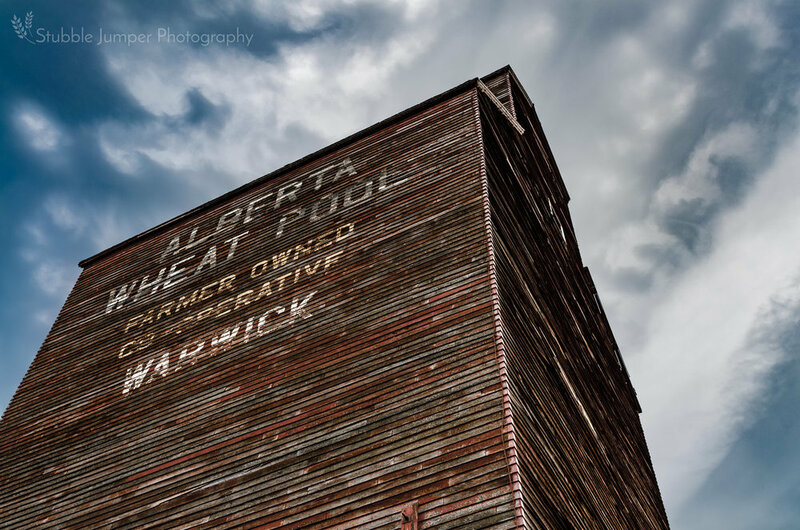 Formed in 1923 with an initial 26,000 members, the Alberta Wheat Pool was the first farmer's co-operative on the Canadian Prairies. 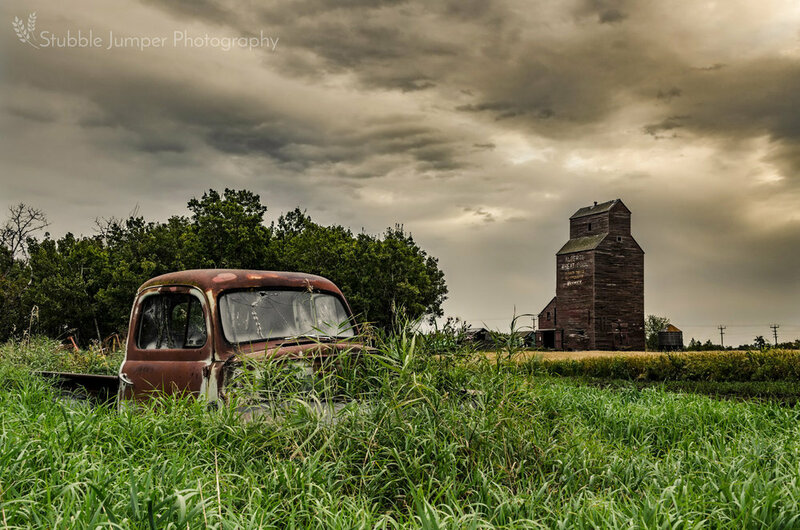 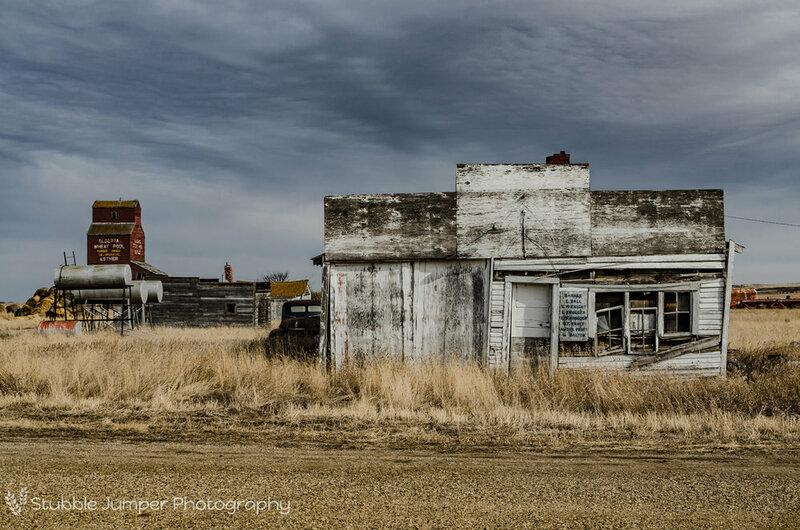 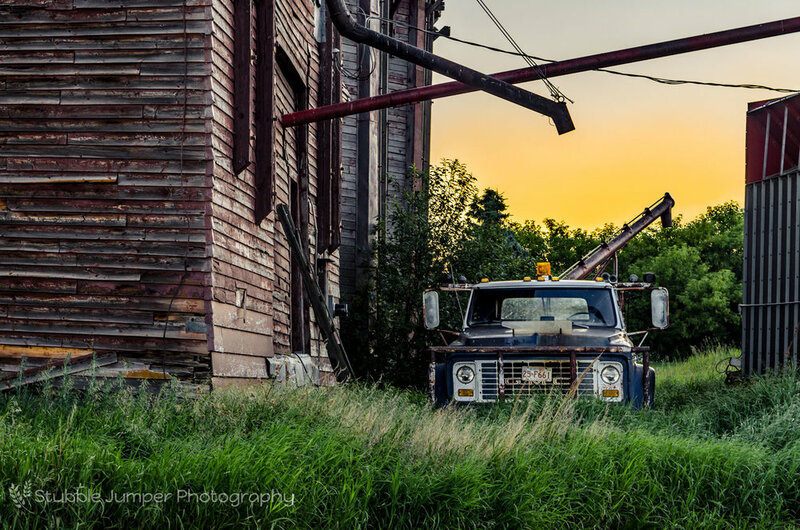 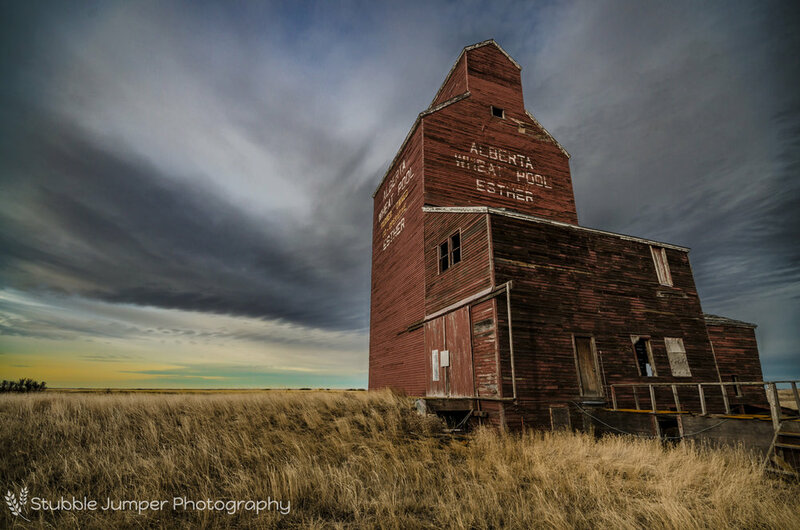 It wasn't until 1925 that the first three Wheat Pool elevators were built in the province. 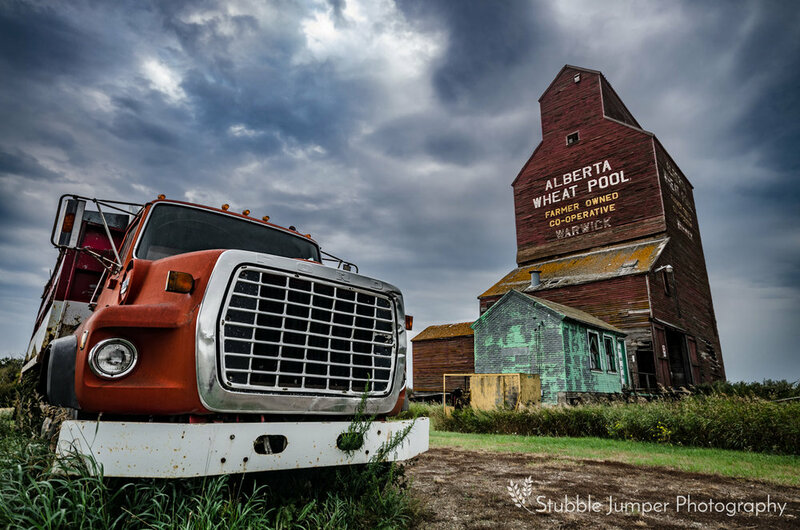 The F.W. 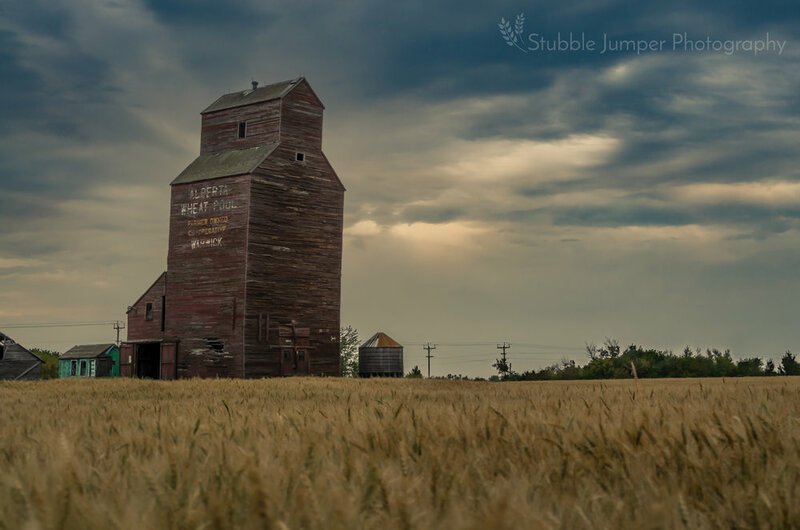 Mcdougall Construction Company who specialized in building coal tipples, seed cleaning plants, and grain elevators across Alberta and Saskatchewan constructed a 40,000 bushel elevator in Warwick in 1929. 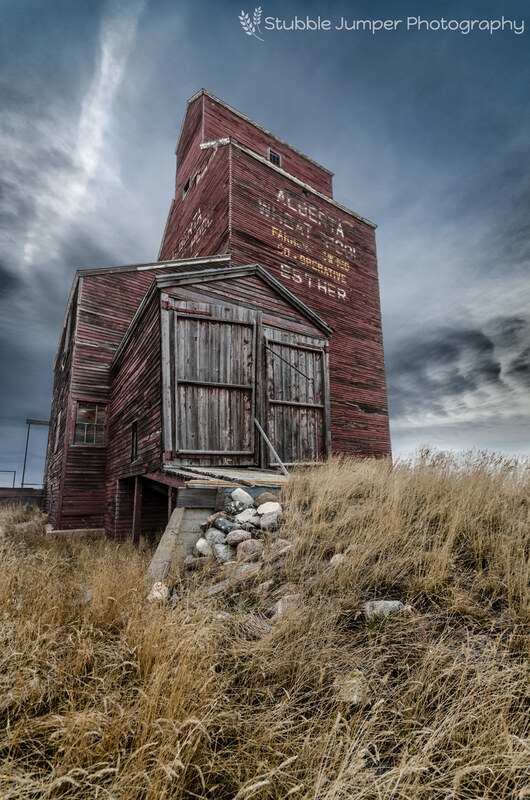 A 41,000 bushel balloon annex was added to this elevator in 1956. 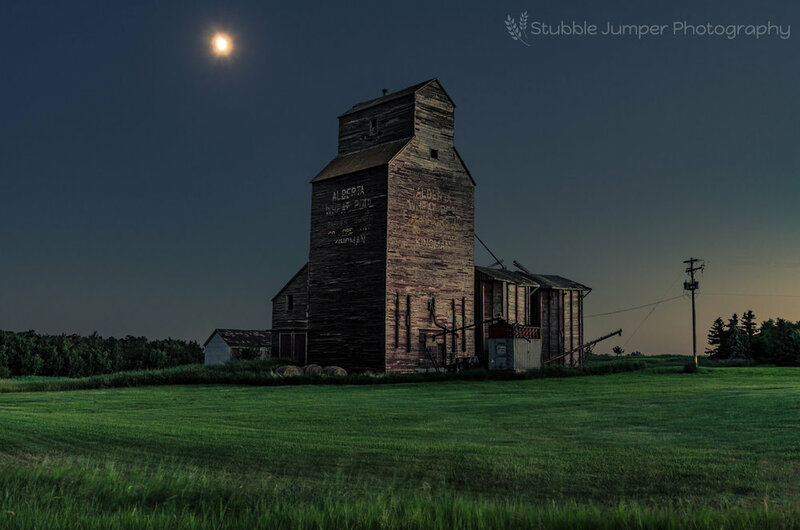 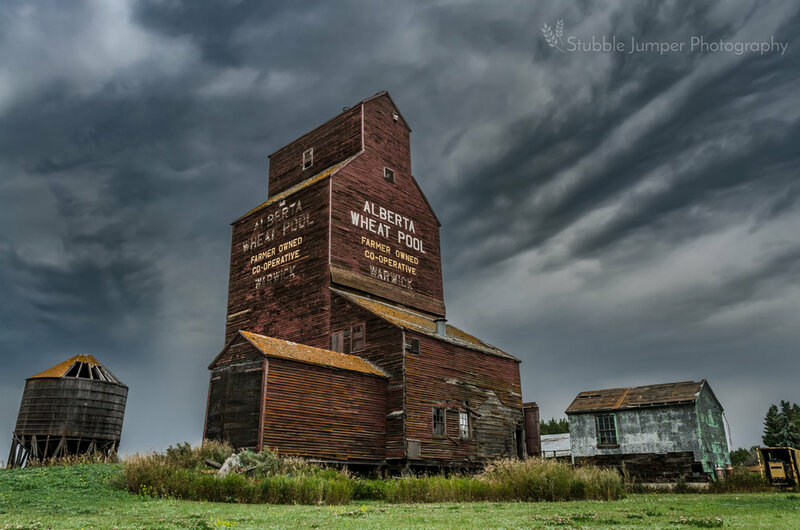 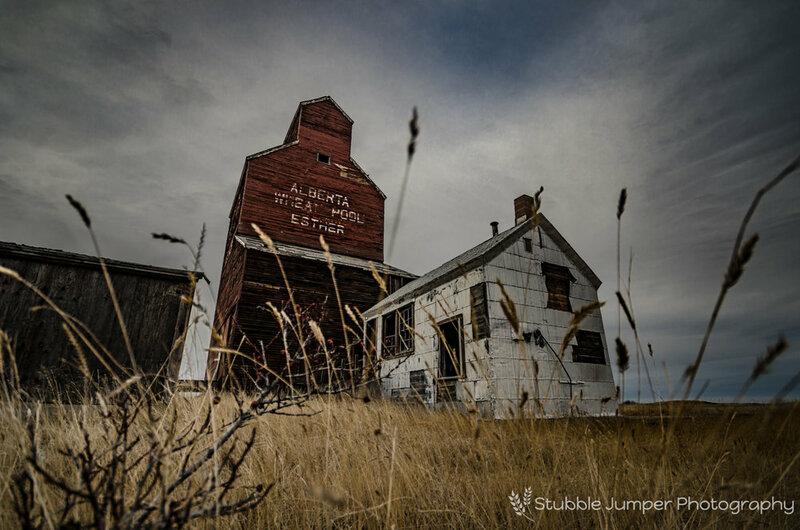 Warwick's Alberta Wheat Pool elevator was built in 1929. 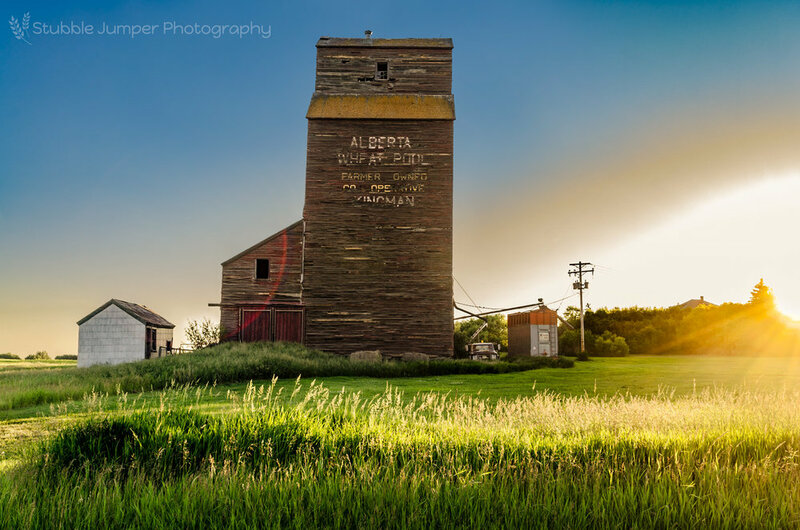 The 32000 bushel grain elevator belonged to the Federal Grain Company until the Alberta Wheat Pool purchased the elevator and a 34,000 bushel crib annex on March 16, 1972. 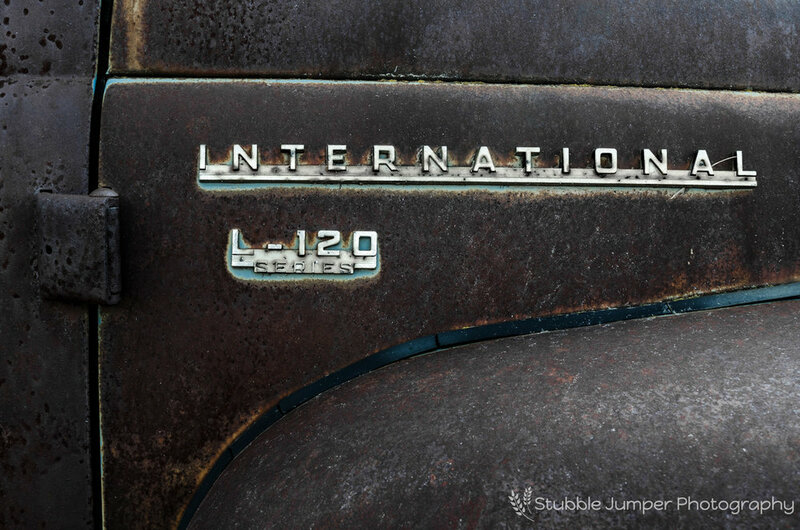 It remained in business until closing in November 1979. 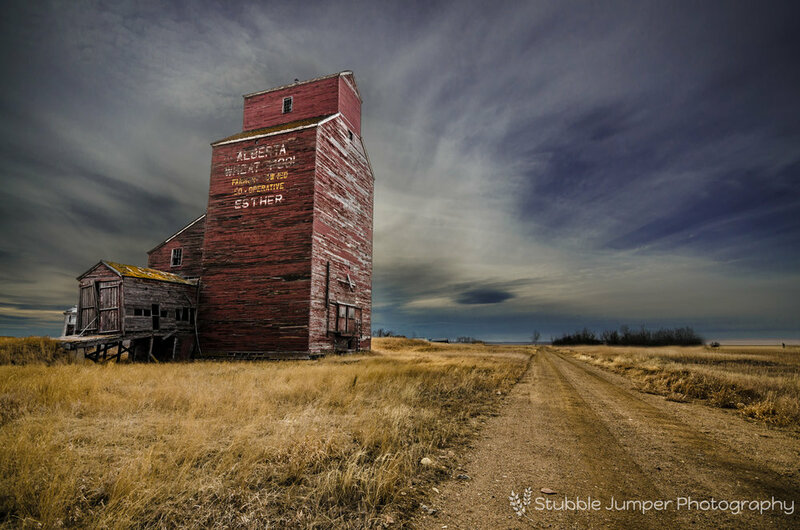 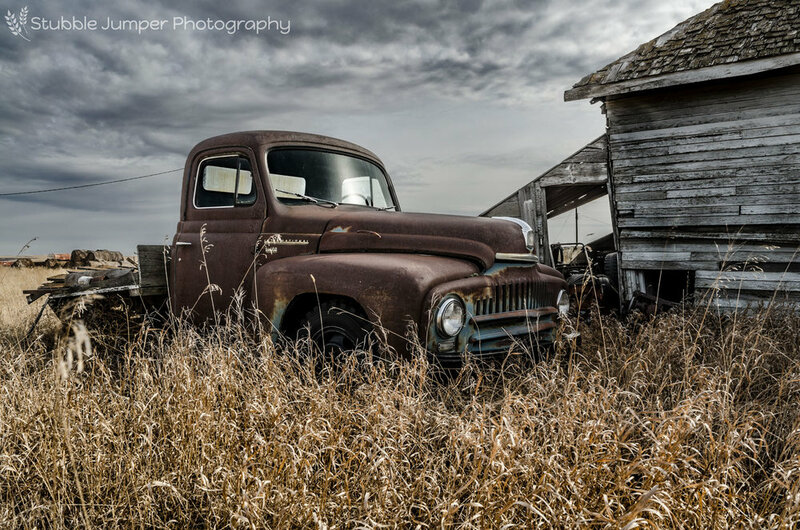 In 1980 the last acting Elevator Manager bought the elevator and moved it to his family's farm.